Poverty doesn’t cause terrorism, but poor countries face special problems in dealing with it. The crime and tragedy of the killing of two hostages by Al Qaeda during an attempted US rescue mission in Shabwa Province, Yemen, should provoke not only outpourings of grief for the two people killed but also a reconsideration of how the world treats countries like Yemen. The US raid appears to have gone wrong when dogs in the camp of Al Qaeda in the Arabian Peninsula (AQAP) began yapping, alerting the terrorists. Hostages Pierre Korkie (a South African teacher) and Luke Somers, an American journalist, received injuries and died after the US team put them on aircraft. AQAP, a tiny group of Sunni extremists, has planned some prominent bombings and is fascinated by non-metallic PETN explosives, which they tried to use to bring an airliner down over Detroit in 2009. Within Yemen, they have tried sometimes to hold territory, but have had several defeats in the past three years. Most recently, some of their bases have been taken over by the Houthis, a militant movement of the rival Zaydi Shiite branch of Islam that has captured the capital, Sana, and several other important cities. Since AQAP has rather bizarrely blamed the United States for the rise of the Houthis and the rollback of Al Qaeda, it is even possible that their plan to execute Somers, whom they kidnapped from Sana, was intended as revenge on the USA for the reversals they have suffered. AQAP might well exist for reasons of political and religious discontent even if Yemen were a middle-income country. It is not a large organization, and a few hundred or even a few thousand malcontents can always be found. But it would be far less likely to be able to operate with impunity in a country that was not an economic basket case. Poverty does not cause terrorism, but poor countries face special problems in dealing with it. Poor countries, moreover, are especially open to the kinds of outside manipulation that produce the discontents that lead to terrorism. Shabwa Province in southern Yemen is so little taken note of globally that even its Wikipedia entry is a stub. Like the 24 million Yemenis in general, the people of Shabwa are desperately poor. Since 2012 a little over half of Yemenis have been below the poverty line. About half of children are malnourished and a third are estimated to go to bed hungry each night. The country faces a severe water shortage, worse even than the rest of the Middle East, which is likely exacerbated by climate change. Insecurity has made it difficult to pump the little oil or gas the country has, so that hydrocarbon income is down this year, and will fall further with the substantial decline in oil prices this fall. Some $4 billion in aid from Saudi Arabia was expected to help keep the country afloat. But the Saudis have announced that they will cut it off now that fiercely anti-Saudi Houthis have taken over the country. King Abdullah of Saudi Arabia has only himself to blame for losing Yemen. Yemen is about a third Zaydi Shiite (a branch of Shiism differing from that in Iraq and Iran inasmuch as it has no ayatollahs or religious hierarchy), and they are especially prominent in the north. Saudi attempts, from the 1990s, to proselytize them with “Salafism” (a kind of puritanical Sunni Islam deeply influenced by the Saudi Wahhabi school) enraged the Zaydis. In the oughts, Husayn al-Houthi went into rebellion in Saada against Saudi influence and against Yemen’s nationalist government, which appears to have been bribed by the Saudis to allow it to make inroads in Zaydi areas. The Yemeni military prevailed against the Houthis in several battles over the past decade, but it appears to have collapsed or withdrawn in the past year, allowing the Houthis to take the capital. Yemen’s troubles are only beginning, and one worries that much of the population will end up displaced, as has already happened to Syria. That vast further social disruption would not exactly tamp down the problems of extremism and terrorism. Sana could be the first world capital to simply run out of water, as its aquifers are drained. Its undependable and small oil and gas industry accounts for 87 percent of the value of its exports, with the rest accounted for by fish and agricultural produce. Some complain that among the latter products is the crop of qat, a mild narcotic that virtually everyone chews on social occasions, and which is lucrative for farmers. But the real problem is lack of water, not that people shouldn’t be able to have the equivalent of their beer. If Yemen had had a growing economy, Wahhabi missionary work among the Zaydis might not have even seemed plausible. 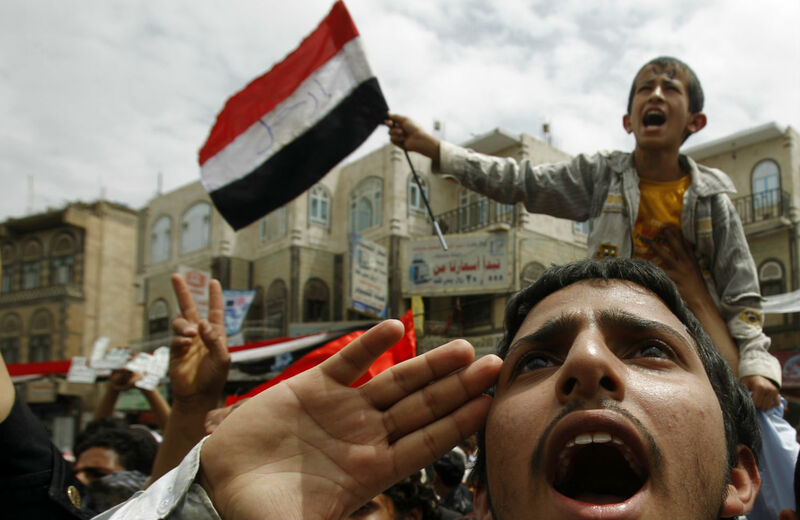 Some of the tribal unrest to which the Houthis and Al Qaeda have played would never have arisen. Rural Yemenis would not have been forced off their farms by water shortages. In the Gulf, countries such as the United Arab Emirates and Qatar have already turned to desalinization plants for most of their drinking water, but despite vague plans to build such plants in Yemen, none has yet materialized. The United States and Europe are mainly interested in Yemen because they fear that the Houthis are cat’s paws of Iran (there is not likely much of a connection—it is a completely different style of Shiism) or because the Houthis might threaten the security of the Bab al-Mandab, the opening to the Red Sea from the Indian Ocean, through which some 10 percent of world trade flows. Models of global development that leave half the the children of a country such as Yemen malnourished are broken beyond repair. US foreign aid in particular is given out for security reasons (thus Israel and Egypt hog it) rather than on the basis of genuine development needs. The Saudis are equally blinkered, engaged in what they see as a regional cold war with Iran and worried about Yemen mainly as a security challenge. That the world’s press only attends to the country when an extremist group does something horrible suggests that there is something wrong with our journalism, as well. If someone wants a policy recommendation out of this crisis in the Arabian Sea, mine would be this: start an international crash program of construction of solar-powered desalinization plants for Yemen and work with tribes, Houthis and nationalists alike to get them built as soon as possible.